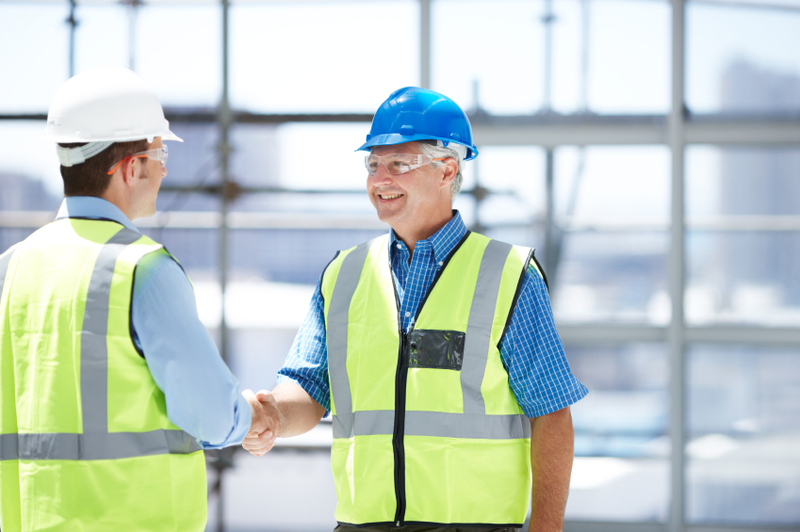 Last month I posted about teaming arrangements in the construction industry. I introduced the most common types of arrangements, including joint ventures and teaming agreements. The following post addresses some of the more important contract terms that will allow for a successful joint venture. First, a well written joint venture agreement should contain basic terms identifying the names, addresses, and business forms for each member, as well as the name under which the joint venture intends to do business. The agreement should also provide a statement that the parties are, in fact, joint venturers, regardless of whether other contract documents reference them as such. Finally, the agreement should contain a clear date of execution and identify the state laws under which the joint venture agreement will be interpreted in the event of a dispute. Next, the joint venture agreement should contain particular provisions related to manners and forms of funding and capital contributions. This includes creating and identifying a separate fund to finance the work, the amount of money or capital that each member will contribute, designating a bank account that will operate under dual control, and with all progress payments and other income deposited into such account. Moreover, there should be a clause accounting for the process to procure additional working capital if necessary. Most commonly, the joint venturers will agree to proportionally fund the venture, with particular ramifications for refusal to so fund. Finally, to the extent equipment will be necessary, there should be a provision establishing which venturer is responsible for the equipment contribution, particularly if the parties contemplate contributing varying amounts of equipment. Terms addressing control and management of the venture are paramount to the ultimate success of the venture, and courts will review such terms deliberately in the event there is a challenge or dispute regarding the relationship between or among the parties. All parties to the joint venture should agree to sign all relevant documents, including the agreement itself, all related contract documents, loan agreements, and indemnity agreements. The agreement should designate one of the joint venturers as the general project manager. The responsibilities and obligations not only of the appointed manager but of all the parties should be clearly defined within the agreement. To the extent possible, parties are well advised to address any conceivable risks and results to avoid disputes concerning the division of responsibility and oversight. Equally important are provisions relating to costs and expenditures. The agreement should identify which charges the venture will incur and which will be charged to the project. It should also designate a Certified Public Accountant responsible for creating and maintaining separate financial books for the joint venture. There should be a provision describing compensation that the joint venture will pay to the controlling venturer, including whether that compensation will be paid as a percentage of profit or as a flat fee. If the parties anticipate they will have to purchase or rent equipment or other materials for the project, they should include terms related to the acquisition and disposal of such equipment or materials. The agreement should also address whether and how the venture intends to obtain licenses and permits, to the extent necessary. As a corollary to costs, the agreement should contain terms addressing the distribution of profit. It is common for a joint venture agreement to include a statement or declaration from the parties attesting to their respective participation and percentage of shared profit, as well as shared losses. Typically, the percentage of profit mirrors the percentage of contribution to the venture’s working fund. The agreement should clearly identify the costs that the joint venture will incur that are not reimbursable and that will be counted in the ultimate determination of profit and loss. Finally, as with any construction contract, there should be clauses addressing default and termination. Joint venturers are well advised to address in their agreement the possibility of the death, incapacity or insolvency of one or any number of its members. The agreement should also deal with issues that might tend to be prospective as of the joint venture’s date of termination, such as warranties, insurance, defects, and guarantees. Although this list is not exclusive or exhaustive, these provisions serve as a useful checklist in drafting a joint venture agreement. Check back shortly for a post identifying terms that will allow for a successful teaming agreement. This entry was posted in Competitive Bidding, Construction, Contracts and tagged Construction, Joint venture, teaming agreement, Teaming Arrangements. Bookmark the permalink. Interesting post! In Dutch employment law, basically the same development can be seen with respect tot whistleblowers.